Mike "Grey Squirrel" Weiss began diving in 2005. 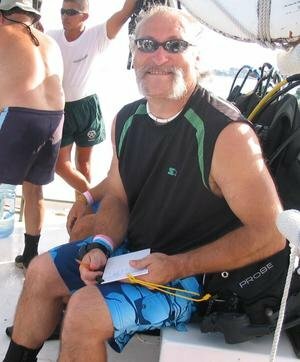 He was Tige and Monica's first divemaster candidate in 2009 and earned his Divemaster certification in early 2010. He began assisting them with teaching new divers and has enjoyed being a part of bringing people into the fold ever since. From his first breath underwater, he fell in love with diving and the underwater world. Whether it is the warm waters of the Caribbean, the crystal clear water of the Florida Springs, or the green waters of a lake or quarry, Mike loves the opportunity to be underwater. As a recently certified Instructor, Mike loves the looks on the faces of new divers and the excitement in their eyes as they begin their dive life. He enjoyed his duties as a PADI Divemaster and has finally decided to continue up the ranks and is now an Open Water Instructor. Mike is finally back from overseas and anxious to start teaching here at Virginia Scuba.